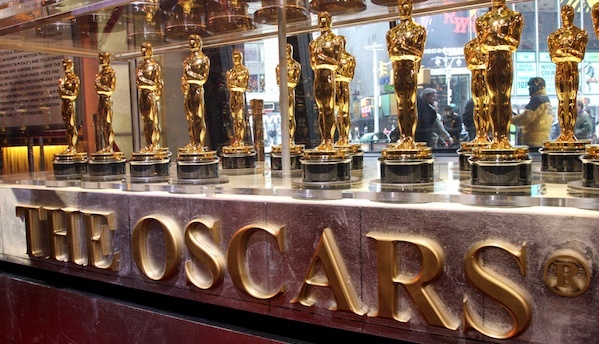 Congratulations to the 2013 Oscar nominees and winners… for complete list of winners pls scroll down. For the first time, viewers in the U.S. will be able to stream tonight’s Oscars show in its entirety across multiple platforms including ABC.com, the ABC Player app, and the free, ad-supported Hulu and Hulu Plus subscription service. The show will also be available via ABC On Demand, the network’s fast forward-disabled VOD service. The Oscars, in its entirety, will be available to stream within hours of its broadcast completion, beginning Monday, Feb. 25th at 6:00 a.m. EST through Wednesday, February 27, at midnight EST. The full streaming will be advertiser supported with :15 or :30 video spots running intermittingly from Blue Diamond, Diet Coke, Hyundai, JC Penney, Samsung and The University of Phoenix. Additionally, during the telecast, Oscar.com offered a plethora of “Real Time Oscar Highlights” to viewers almost instantly after they debuted on the live broadcast. Those special moments from telecast as well as numerous highlights from the Red Carpet and backstage during the show, are currently available on the show’s official site, Oscar.com. Oscar.com and the official Oscars app go to great lengths to engage fans, giving them unparalleled access to all things Oscar Sunday. As part of the “Backstage Pass,” there are almost 20 exclusive live cameras strategically placed on the Red Carpet, and throughout the backstage are of the Dolby Theatre. Fans can either sit back and enjoy the action in “Watch” mode, or control the cameras they want to see in “Direct” mode. Hosts and correspondents include: “The View’s” Sherri Shepherd, television personality Cameron Mathison, “Modern Family’s” Rico Rodriquez, Entertainment Weekly’s Jess Cagle, and PEOPLE’s Peter Castro. For the first time this year, Backstage Pass will include the Red Carpet Digital Lounge, where Radio Disney’s Jake Whetter, POPSUGAR’s Alison McNamara and Mashable’s Brian Hernandez will report on the most buzzed about trends on social media using multi-media monitors run from Samsung Galaxy tablets and smartphones. 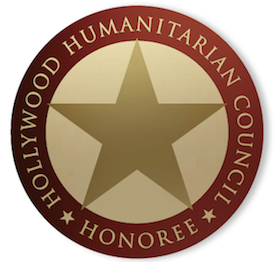 Appearances by: Jack Nicholson, Dustin Hoffman, Jane Fonda, Jennifer Garner, Kristen Stewart, Kerry Washington, Jennifer Aniston, Michael Douglas, Jamie Foxx, Paul Rudd, Salma Hayek Pinault, Melissa McCarthy, Liam Neeson, John Travolta, Ben Affleck, Jessica Chastain, Jennifer Lawrence, Halle Berry, Sandra Bullock, Nicole Kidman, Reese Witherspoon, Mark Wahlberg, Ted and “Marvel’s The Avengers” cast members Robert Downey Jr., Samuel L. Jackson, Chris Evans, Jeremy Renner and Mark Ruffalo; returning 2011 Oscar winners Jean Dujardin, Christopher Plummer, Octavia Spencer and Meryl Streep; “Chicago” cast members Richard Gere, Queen Latifah, Renée Zellweger and Catherine Zeta-Jones; special guests Joseph Gordon-Levitt, Daniel Radcliffe, Channing Tatum and Charlize Theron; and performers including Kristin Chenoweth, Jennifer Hudson, Catherine Zeta-Jones, Hugh Jackman, Russell Crowe, Anne Hathaway, Amanda Seyfried, Eddie Redmayne, Samantha Barks, Aaron Tveit and Helena Bonham, Adele, Dame Shirley Bassey, Norah Jones and Barbra Streisand. The Oscars for outstanding film achievements of 2012 were presented on Oscar® Sunday, February 24, at the Dolby Theatre™ at Hollywood & Highland Center®, and were hosted by Seth MacFarlane. The Oscar presentation was televised live on the ABC Television Network and in more than 225 countries worldwide.